The Ooma Mobile App is now available in App Store! Download the Ooma Mobile App now by visiting the Ooma page in the App Store. How it works: With the Ooma Mobile App, Ooma customers can make domestic and international calls from an iPhone, iPod touch or iPad over any Wi-Fi or 3G network. By tapping into an active Wi-Fi or 3G connection, Ooma customers can use their Ooma account credentials while on the road to connect calls and bypass the high international calling rates associated with mobile calling plans from major carriers. Check out our Mobile App FAQ for more details. Savings: The Ooma Mobile App can save Ooma customers up to 90 percent on international calls. Ooma customers can enjoy further savings by reducing their minutes on their calling plans since they can now save minutes by using their Ooma account. In addition, Ooma’s PureVoice Technology uses advanced voice compression to reduce bandwidth usage by 60% minimizing data usage allowing for longer calling times over 3G. Pricing & Availability: The Ooma Mobile App is priced at $9.99. Calls using the Ooma Mobile App start at 1.9 cents per minute for U.S. calls or applicable rates for international calls. Ooma Premier Customers using the Ooma Mobile app receive 250 minutes of U.S. calling for free every month. For a limited time promotion, Ooma Premier Customers who also subscribe to Ooma’s International plan will get 750 minutes of free calling in the U.S. and to 70 other countries. Use of the Ooma Mobile app requires an Ooma account. 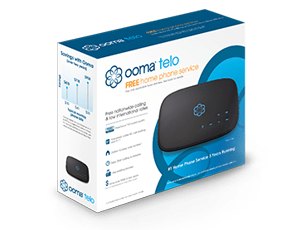 A customer must already own an Ooma Hub or an Ooma Telo in order to use the Ooma Mobile app. Customers using the Ooma Mobile app receive 250 minutes of U.S. calling for free every month. For a limited time promotion, Ooma Premier Customers who also subscribe to Ooma’s International plan will get 750 minutes of free calling in the U.S. and to 70 other countries. Use of the Ooma Mobile app requires an Ooma account. 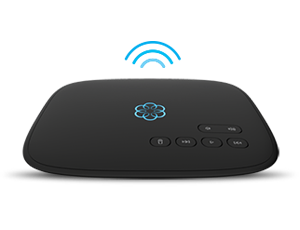 A customer must already own an Ooma Hub or an Ooma Telo in order to use the Ooma Mobile app. Blackberry app anytime soon? Specifically for Curve 8900 please? Will we be seeing an app for the android market? I’d love to have this for my Nexus One. You need to get it on the Android Market to really get traction. I just dropped ATT for Verizon and I’m never going back. Android and blackberry apps are on the roadmap. How about a android app? Will the android app include bluetooth support ? Thats my number one gripe with every other provider including vonage for their android apps, NO fully functioning bluetooth support. Bluetooth is near and dear to our hearts. I’d love to carry this product, and am pretty sure that other agents would too. I saw that you were running a program awhile back for your own customers, where they got a kickback/bonus for getting their friends and families to sign up, can you extend that to those of us who aren’t customers? Froyo has helped bridge the gap with poor bluetooth support. At least that is what I am being told. I’m not a big bluetooth user. I love my Nexus phone running froyo but I will love it more when I get an ooma app. Ooma is a great company and I’m sure it will be here soon. Was disappointed to see that the app costs money. Since this extra is pay/min, the cost to recoup would pay for itself if and when its used widely. I currently use another free app and pay half the per minute charge. I’d try it if the app was free. The competition is tough in this market. Giving 250 minutes to premiere customers is great and just another selling point. I signed up for another year, love the voicemail forwarding at work so I can catch a phone call if not at home. Like others, make it available on other platforms for free. I do realize that you do have to charge to connect to landlines. Truely a satisfied customer and have added other family members with new accounts. $12/year (taxes) and reliable service,,, its a no brainer! I also don’t understand why you charge for the app. There are other options for VOIP calling and while I may be missing something, I’m not sure what advantage I have using the Ooma app. Maybe there’s something extra there, as a Premier customer, but I don’t see it and I’m not going to pay to find out. Make the app free. Expose non-Ooma users to your service and get them to use it instead of the alternatives. For now, I’ll just continue to use one of the other iPhone VOIP solutions. I seem to be missing the point. There are already multiple free apps that allow for cheap international calling. The only advantage I see is that the caller ID will show my Ooma number (I’m sure this is important for someone). Seems like a decent, although overpriced, calling-card style app. Without integration with my Ooma system etc will just wait to see what the update brings. Although from the app store reviews it seems like this is already at v2 which has allowed for bug fixes. @Kevin, they have to make a little money somehow. Anything above their core product should have a small charge associated to continue innovation. Otherwise there will be no incentive for Ooma to keep putting out additonal great products and further integration. It’s a small price to pay. @ Greg, get yourself an Ooma and start referring all of your purchasers through that like I do. The telecom market is going in different directions to stave off their losses in the telephony business. Like most of IT there is no going back. Do you have an ETA on the Android app? I expect to be in Costa Rica end of Sep/beginning of Oct. Thanks. Downloaded this app yesterday. I did all the research and knew that I would have to pay $9.99 for the app and put $9.99 in my prepay ooma account even though I have premier service. That said, even though it will ultimately cost you $20, you will recoup that money quickly by using it, the $10 will give you 526 minutes and if you’re a premiere customer, you’ll get the added 250 giving you 746 mins automatically. Anyone’s who is with at&t knows the rates are out of control. I also think it’s a great idea to expand ooma’s market. If we as customers want to continue to have ooma services as is, we need ooma to tap into a market which incentivises continuous income streams and I think this is a smart way to do it – directly compete with mobile companies and give the benefit to ooma owners and especially to ooma premiere customers. The only caveat is that they need to add the ability to receive calls as well. As ooma customers we expect a lot for a little, but we also have to think about the long term viability of ooma. Just wanted to chime in with my support for getting the app released for Adnroid devices asap (I currently have a WinMo based phone but will be getting the Samsung Captivate [AT&T] upon its release in the coming weeks). I’m an Ooma customer for over a year now and wish I would have switched earlier. Keep it up Team Ooma! I love my ooma for home phone and I have told a bunch of people about it. This app could be a great starting point but it has too big of a commitment up front. If the app was free and people paid for minutes it would allow people to try it and see how good it is. Combining home phone for free with your existing phone number and the ability to use your number outside the home is awesome (if incoming calls are added that would be even better) and better than skype. But with skype you can download the app for free. My opinion is this should be used to get premier subscribers and sell the service not generate revenue on the app. My 2 cents:). I saw that Ooma has addressed this, but wanted to stress that an Android App would be a wonderful thing!! As others, I recently switched from iPhone to Android. I used the app on the iPhone, and it worked great. I really miss using it. I have just completed 80% of the setup process and I think I like ooma system. I am still kinda left hanging on the premier service, though, as well as all other fees for that deiver very little. A calling card from the local store sounds attractive when you consider the monthly fee for service I may not even use. I get all of that and more on Vonage or on Skype for little. for international calling, the countries I call are not even listed so why pay 4.99/mnth for no service. Can Teem ooma please check on adding Nigeria to the list? Android is my request as well. Great Operating System. Built for the Customers! Also, when will the Handsets have TRUE Bluetooth so we can move away from this USB BT at the base station? Need the Handsets to have BT so we can have the range with the wireless device away from the Base…. I was also disappointed by the extravagant charge, i can see paying a couple bucks for the app and a couple more for the minutes. However charging 10$ for a iPhone app and more for minutes is really cliche`. Why not simply charge the same way that ooma charges for their equipment. I don’t want to have to constantly worry about how many minutes im going to have to prepay or what not. Charge 50-100 for the app and be done with it. Christopher, if you have your Ooma home phone forward to your cell you will receive calls!!!! Other than that everything you wrote was great!!!!!! I have had Ooma Premium service for approx 1 yr now, even use the Telo handsets. The features and quality of service are great, and if you know what your doing – to back feed dialtone through the whole house is cool. I’m just wondering when Android users will get this app. Any eta for the droid market? I know about a month ago you guys said it was on the road map. Please don’t loose sight of this!!!! Droid does – but does OOma? As an Ooma Premier customer, I would love to see an Ooma App for Android, as others here have mentioned. The Android market is continuing to grow at an impressive rate (lookout Apple and Blackberry). Keep up the great service! Create an OOMA iPhone app that just uses the free US account and I can see spending $9.99 for the app. Requiring that the user pay on a per/call basis is a complete contradiction to what the OOMA brand is about, and if you read comments on iTunes many users that downloaded it did not understand it was fee based. I have been using Vonage Mobile and am very happy with it. Free app, no contract, no minimum. Any time I dial an international number from the US, the program seamlessly takes over the call and makes it for me automatically. Costs me airtime minutes on AT&T as if I was making a domestic call, plus $0.02-0.07 per minute for most countries. For people who call occasionally, got to be the best deal around. When my money begins to run out, it automatically charges me $10, I think, and replenishes my account. That’s not surprising, iPhone users are not exactly the sharpest knives in the drawer. Who else would buy a phone that doesn’t get reception? Just another request for Android! I hope the Ooma community is being heard and many of us are looking forward to a full featured Ooma app. Paying for this up front is a good thing. Its low low cost already at 10 bucks. I paid for, installed, and setup the Mobile application for my traveling daughter’s 4th Generation (latest) 32GB Apple I-Touch as a backup VoIP mobile phone. Setup was easy, the call quality excellent, and the thing just rocks on this platform. Works great. She’s on her way to China, other parts of Asia, Philippines then on to Bangladesh to set up an orphanage. I have NO problem paying for something that works, or paying for the low international rates. You need to add Philippines to your roster of target call areas. Making money is how Ooma will thrive, and grow. I’ll update later on. Go Ooma!!! wmw – (two Ooma hubs and scouts, two accounts, in two homes, and Ooma fans for more than a year now). I have already sent an email about this, but I am just putting in my request for a Blackberry ooma mobile app. Thanks!